Agile that works for big projects. Marry hierarchical project planning with agile execution. 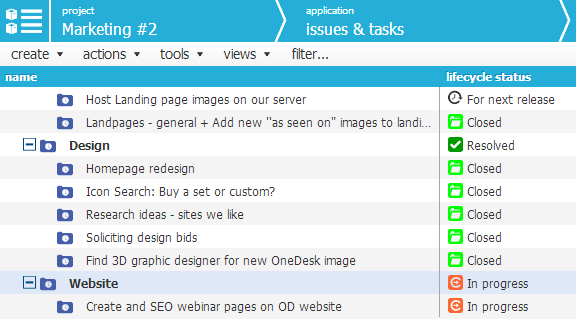 Choose to view your tasks in waterfall / hierarchical view, or in an Agile card view. Set a default view for your organization and be sure the whole team has the same view of all projects. Views can be switched at anytime. 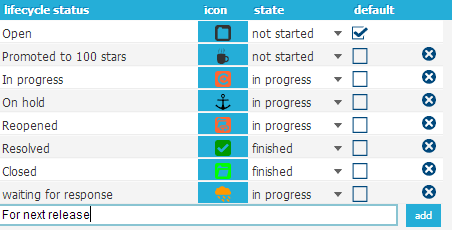 Visually plan out projects and iterations with Agile status boards. Vew capacity KPIs and get a high level overview of the capacity of each iteration based on points or work. Easily see which iterations are under or over capacity and adjust accordingly. Estimate how many story points your team should be able to accomplish in that iteration. Drag and drop stories and tasks to the iteration, until that capacity is reached. 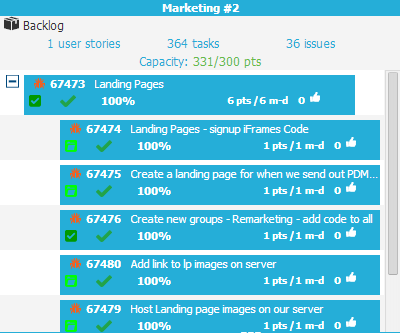 Assign tasks and stories, see estimates of total work, track the burndown. Get a big picture of where all your projects are at by viewing them on an easy-to-understand card-view Agile status board. Move projects to the next stage in the development cycle by dragging and dropping them across the status board. The best user stories come from the users themselves. Invite customers to submit feedback directly to your organization and seamlessly integrate the voice of the customer into your user stories. Add details and attachments to user stories, assign them, and create sub-tasks from them. View user stories by workflow status and move them from backlogs to Sprints as needed. 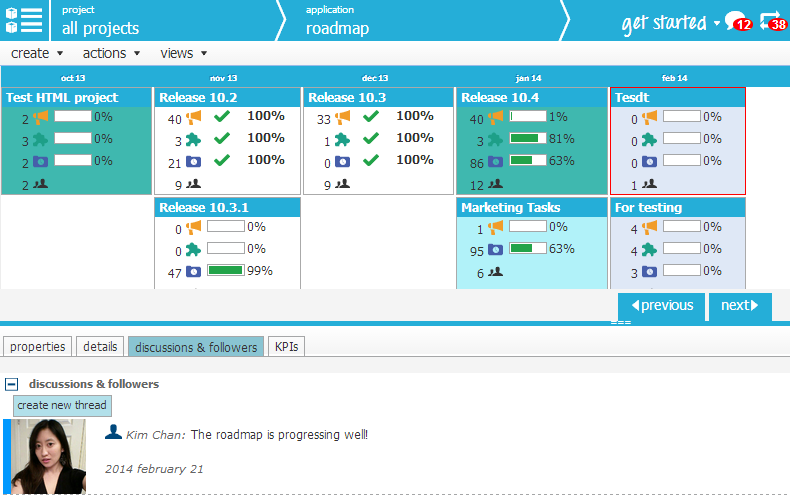 Get an overview of how each every task and issue in each Sprint is progressing. 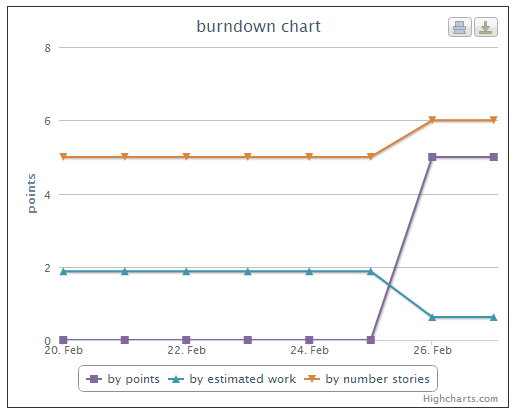 Burndown charts allow you to view the remaining points for each iteration or sprint over time. PlanUpon’s velocity charts compile the velocity of past iterations, and how many points were earned at each close. See your capacity increase with each iteration, as the team gains experience. Easily create and manage product backlogs. Stories are ordered by relative priority allowing for intuitive drag-and drop planning of upcoming sprints. PlanUpon’s collaborative nature allows you to maintain traceability throughout the whole development lifecycle. View product roadmaps and keep track of activity history to get an accurate big picture of all your releases and products. Hold discussions about specific tasks with your team members, and generate reports in a single click. Configure the default workflows to make them match your organization’s workflows. All workflows are immediately reflected in the Agile status boards. From there, it’s easy to track tasks and drag them from one stage to the next.